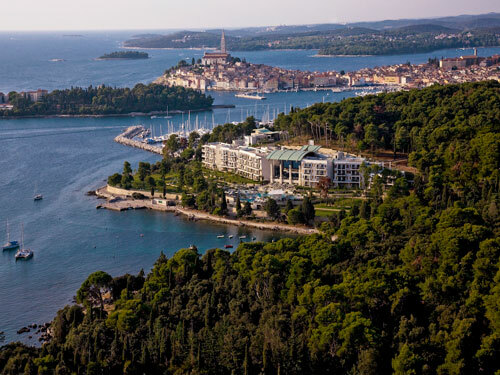 Hotel Monte Mulini, Rovinj, Istria, Croatia Welcome to the Hotel Monte Mulini in Rovinj in Istria, a luxury five star Croatia hotel that succeeds in combining natural materials and comfort with elegant design, to offer the modern traveller a sanctuary for relief and relaxation. 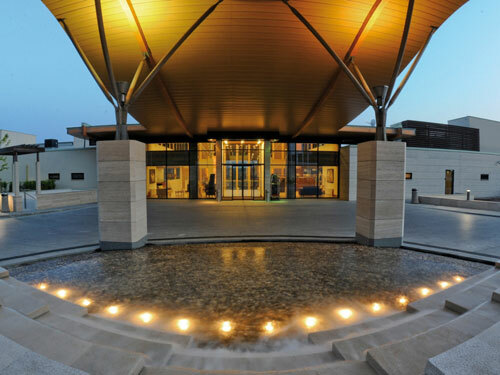 Welcome to luxury, five star hotel, the Hotel Monte Mulini, a hotel that succeeds in combining natural materials and comfort with elegant design, to offer the modern traveller a sanctuary for relief and relaxation. 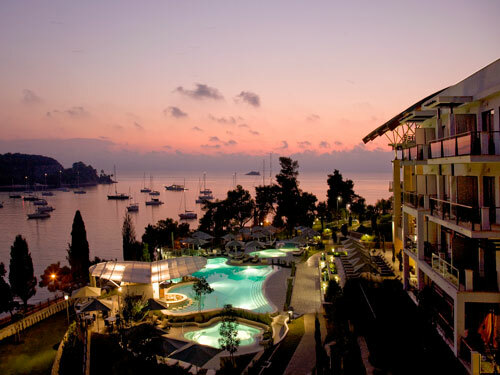 Hotel Monte Mulini’s 113 rooms and suites provide an unparalleled boutique hotel experience in unforgettable surroundings. 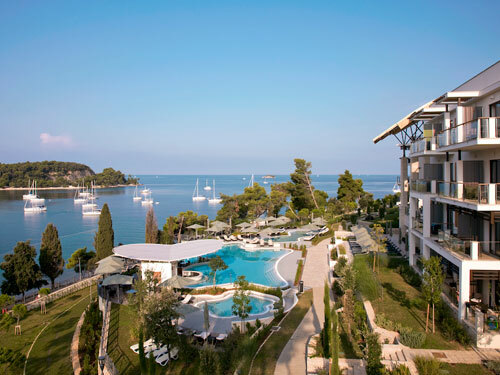 All rooms and suites have balconies, with panoramic views of the picturesque cove and protected Zlatni rt park forest High-tech functionality does not detract from style and intimacy, with custom-made furniture and warm colours. 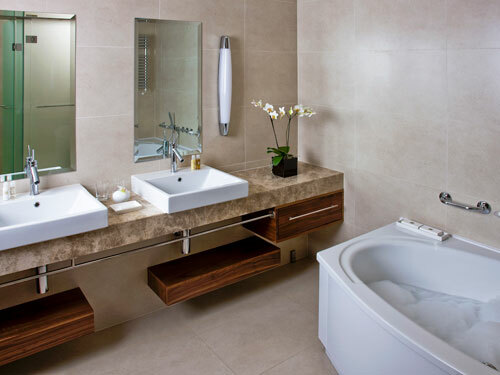 Bathrooms are spacious, featuring natural materials, twin basins and walk-in ‘tropical rain’ showers. 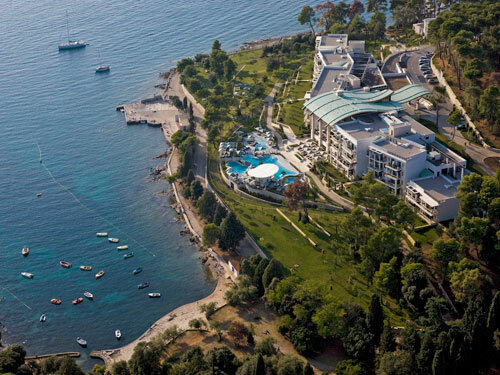 Hotel Monte Mulini has 99 rooms and 14 suites, all offering an unparalleled luxury hotel experience in unforgettable surroundings. 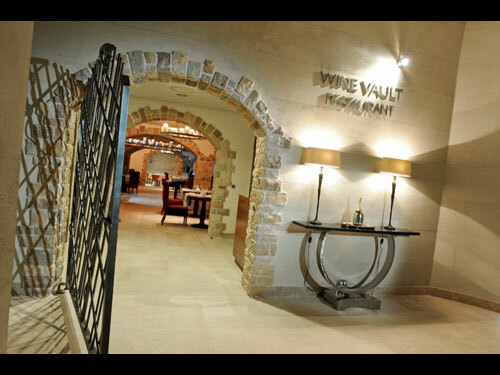 Presided over by our renowned head chef Tomislav Gretic and internationally acknowledged sommelier Emil Perdec, Monte Mulini is rapidly making a name for itself as a fine-dining destination, unsurpassed in the region. 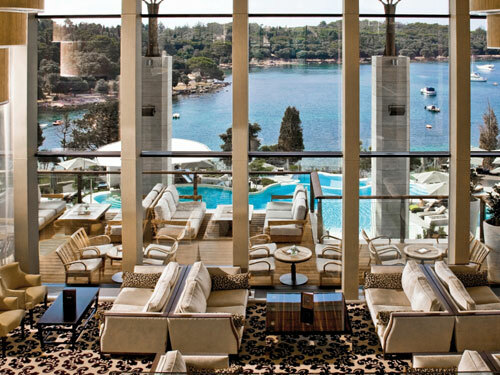 The menu in Mediterraneo is inspired by Greek, Spanish, Lebanese and North African cuisine and offers a fine-dining restaurant experience in contemporary surroundings, with beautiful views of the sea and picturesque Lone Bay. 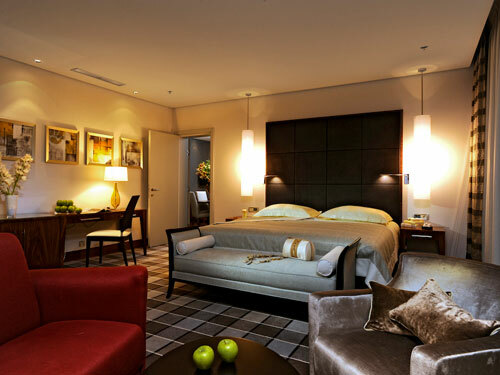 Art Wellness is our lifestyle brand envisaged as a fusion of Mediterranean ambiance, art and design. Wood, stone, water and gold set the tone, with the entire wellness service focused on face and body treatments, massages and invigorating baths. 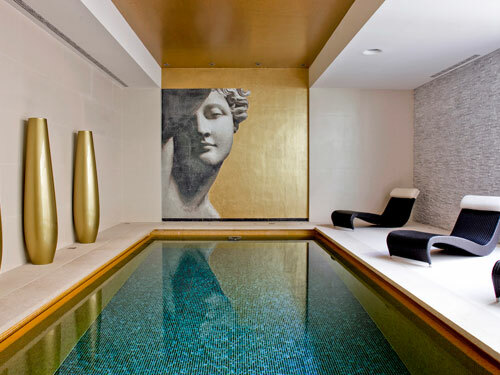 The wellness team includes therapists, beauticians and physical therapists and has created treatments and programmes unique to Monte Mulini.